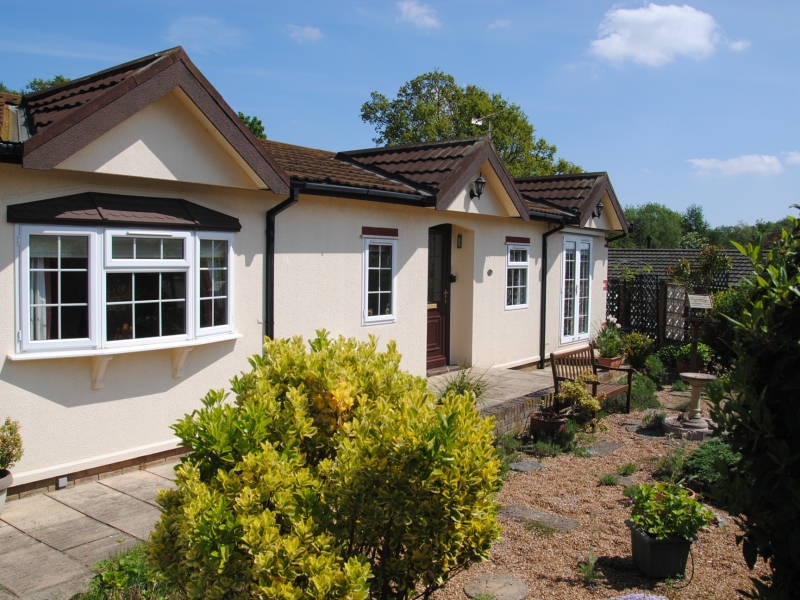 The Country Homes Ranworth Cottage is an attractive modern park home bungalow. This custom designed home has a garden to the west and private courtyard area to the east and south. Three gables to the front aspect and Georgian bars on the window give it character. The construction is timber frame with Decra tiled roof and double glazed uPVC windows. Central heating is by lpg combi boiler. Accommodation comprises: Brown wood look uPVC front door in a recessed arched porch opens into the entrance hall which has three cupboards and a loft hatch. A pair of glazed double doors lead off into the open plan Living Area (17’8″max x 19’6″). The dining area has a window facing west. 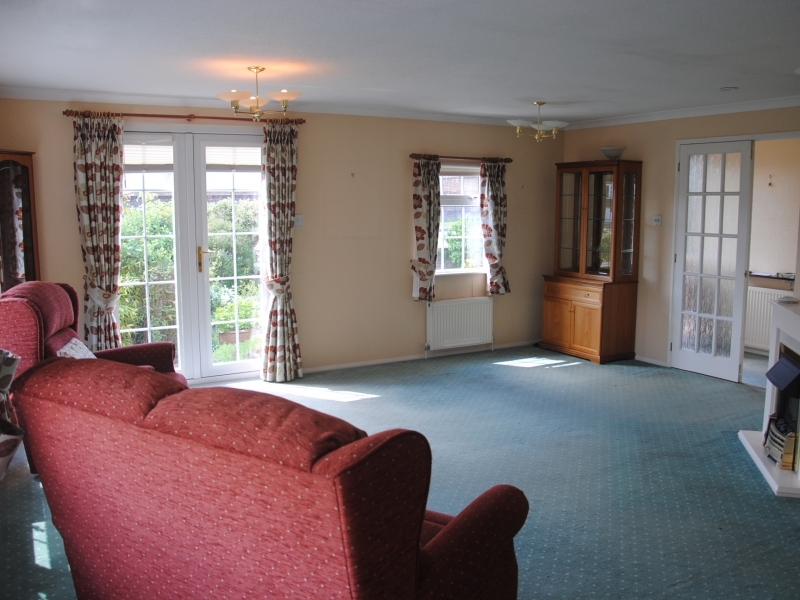 The lounge has patio doors opening into the garden and two bay windows on the south aspect. The fireplace is an attractive focal point. From the hallway a door opens into the kitchen (11’10” x 8’9″) with numerous fitted cupboards in a pale wood and a large window. 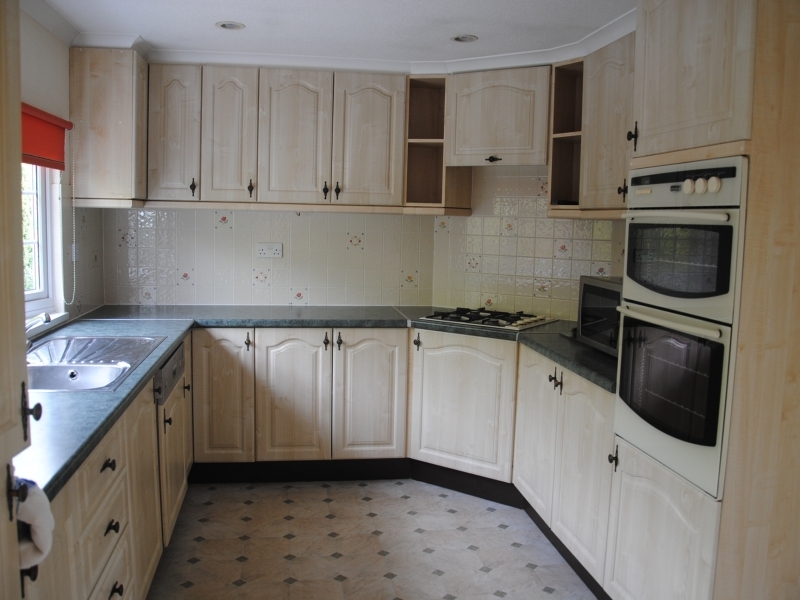 Fitted appliances include an eye-level gas oven, hob, Bosch dishwasher and fridge/freezer. An archway leads into the Utility Room (5’3″ x 5’3″) with a stainless sink and more cupboards, one housing the combi boiler. A washing machine and dryer are both included. A fully glazed door opens into the courtyard garden. The study (6’7″ x 6’7″) has a desk with drawers and a window facing west. 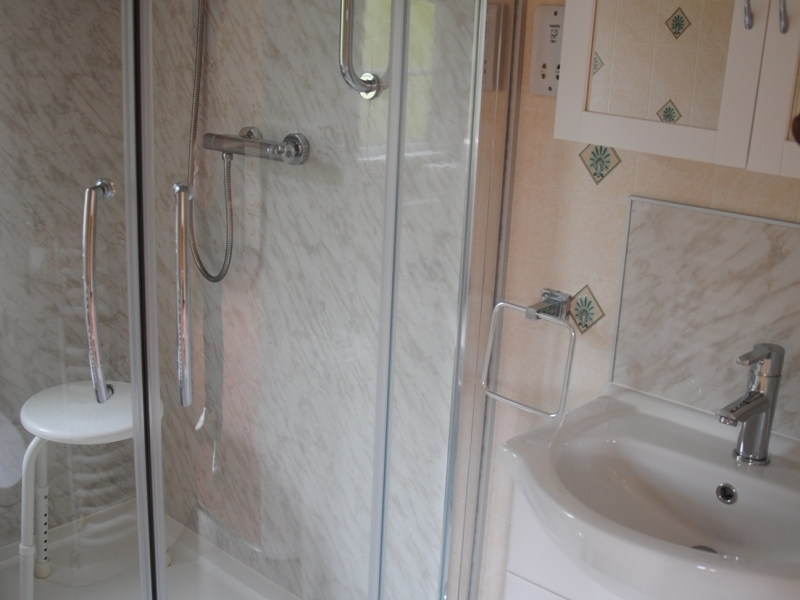 The shower Room (6’11” x 6’7″) has been converted into a wet room with a shower, wall mounted basin and WC. The room has floor to ceiling tiling. 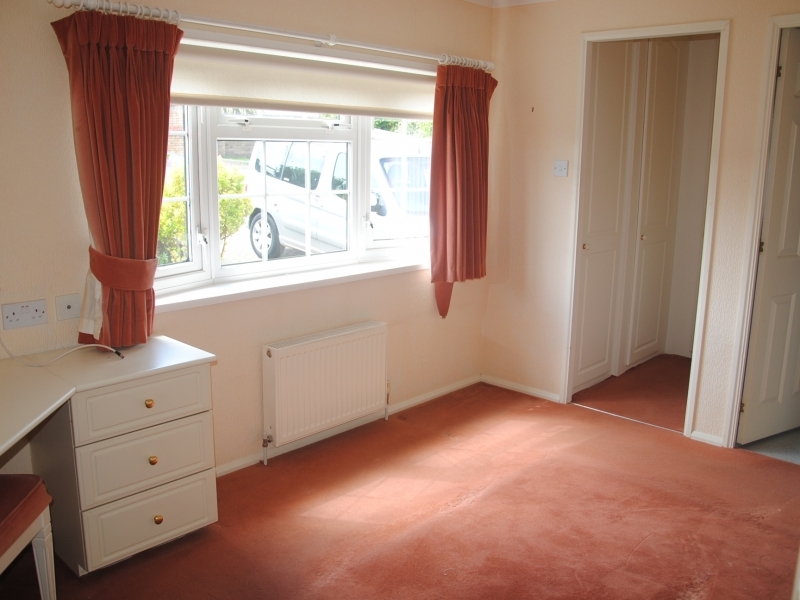 The Master Bedroom (12’0″ x 10’0″ plus 6’7″ x 4’9″ wardrobe area) features a bay window overlooking the garden. There is a fitted dressing table with mirror over and drawers and matching bedside tables. Originally a walk-in wardrobe (6’7″ x 4’9″), doors have been fitted making fitted wardrobes, this could easily be returned to the former layout if preferred. 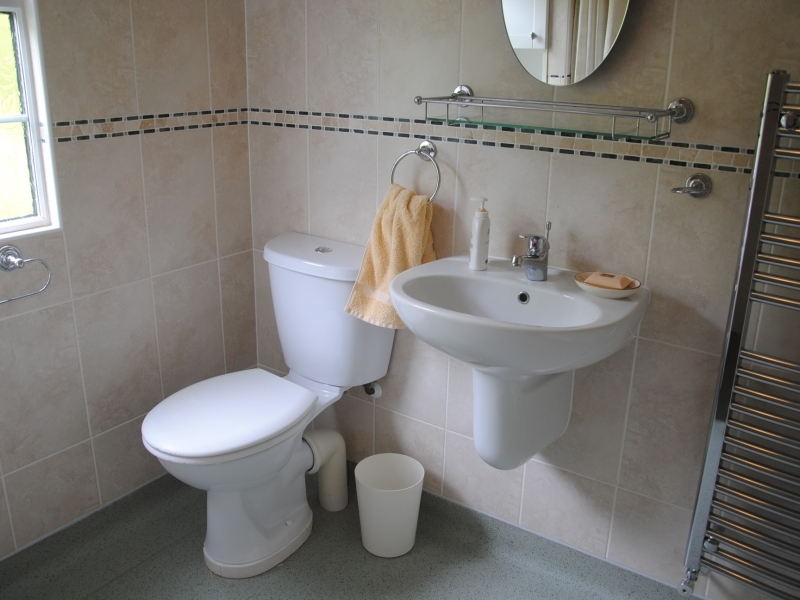 The En-Suite (6’7″ x 4’9″) has a corner shower cubicle, WC and basin with a white vanity unit. Bedroom Two (10’10” x 9’9″) also has fitted wardrobes, drawers and dressing table, the window looks to the east. 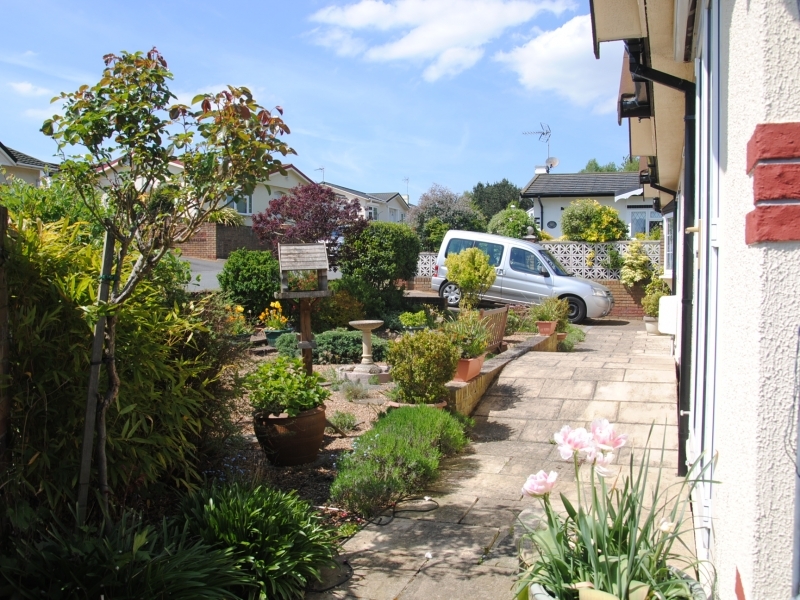 A block paved drive provides parking for two cars to the north of the home and leads to the shed. 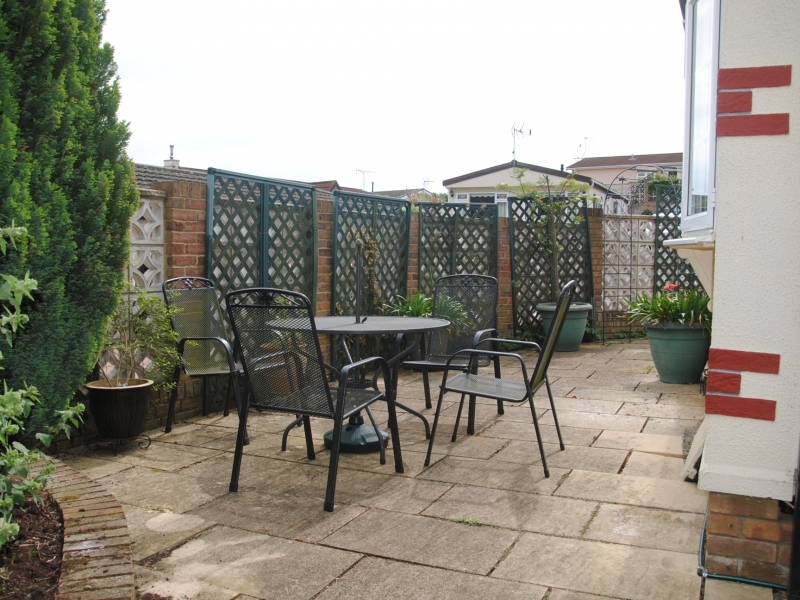 The garden is well stocked with mature shrubs and small trees. There is a courtyard area to the east and south.